Skillcrush Blueprints fill in the blanks I'm left while completing other online bootcamps and courses. Adda clearly spells out each concept with amazing detail and I don't feel pushed to move on to the next concept even though I'm not ready. The value for Skillcrush's services is amazing. I cannot believe all that I get for the price that I pay. TAs and instructors respond in a quick fashion in our Google Groups, and students interact with each other. I couldn't be happier with my investment. I can't speak for job assistence as I havn't made it that far through the course yet. As far as everything else about the course, I love it! Every lesson is broken down in a way that you gain so much knowledge without it seeming to overwhelming and daunting. I do wish that there was a feedback 101 google group, as sometimes its hard to tell if I've gotten my code correct, but appart from that, I really am enjoying learning through Skillcrush. everything was as advertised and if you're someone like me that needs that structured space for learning, but can't do deadlines, this is definitely a great place to start! I work full time and sometimes have to make everything up on the weekend, so its nice to not have hard deadlines. I have been incredibly happy with my Skillcrush experience. Prior to joining the Skillcrush Front End Developer Course, I had been desperately trying to find a way to learn to code and work full time. I had tried teaching myself some information, but the amount of information that I was unfamiliar with was daunting. 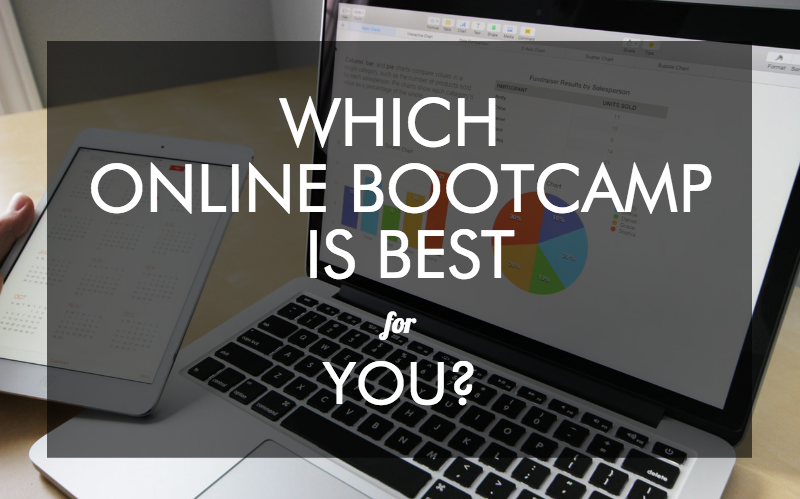 I looked into a few ful-time boot camps but didn't have the time or the funds to attend. I wasn't sure I would ever be able to make a change in my career, until I found Skillcrush. After searching around the Skillcrush website, I decided to give their free "10-day Boot-Camp" a try. The course was informative, easy to follow, and geared towards women- it was perfect! I decided to sign up for one of the (very affordable) blueprint courses, and I couldn't be happier. I'm still able to work full time and fit Skillcrush classes in when I can. Information continues to be presented in manner that is easy to follow. I appreciate that lessons begin with a video, followed by some reading and a quiz. I have found the instructors and the students to be very helpful and supportive via the online forum and via email. I haven't finished my first blueprint yet, but I already have pages of additional learning resources (which I love). I don't really have any recommendations for Skillcrush, their blueprints are perfect for those looking to learn a new skill or change careers and offer a light for women in a predominantely male field. I took the Web Design blueprint last year ('15) and am currently in the Wordpress Developer blueprint. Both blueprints provided a great foundation in the languages that they are teaching. However, despite the breadth of information there is not as much depth as I would have liked. However, they provide many external resources to refer to, as you continue learning tech skills. Moving from Mightybell to Google groups is definitely an improvement. These groups allow you to discuss work with other classmates and with TAs and instructors, which allows for more personalized help than some online classes allow. The Master classes are great additions to help make the connection from what you are learning into the real world with people who are in the industry. Office hours are run through Google groups, which provides a lot of personalized help and to meet others face to face. The best part of taking Skillcrush classes is being a part of the community and all of their content. Signing up for their newsletter alone provides so many great articles on a weekly basis on all things tech. However, by taking classes you are invited to exclusive online webinars and summits and they provide you with great cheatsheets. These are lifesavers as they basically summarize what you are learning in bite-size chunks that you can use throughout your tech career. Finally, as alumni you are invited to join their Slack alumni channels, which keeps you engaged and accountable and a part of an amazing tech community. Classes are striaghtforward and get to the point. Easy to follow and gives a good base understanding. I am not technically able, and I'm probably much older than the typical learner. (My teenagers shake their heads, muttering "elders and technology".) In the past, I have tried to learn HTML and CSS through books and through free and inexpensive online classes and videos. Always, I got stuck after the first few lessons and abandoned the effort because of lack of support. With Skillcrush, the pace of the learning and variety of ways to learn is actually helping to push me ahead. The instructional videos are short, sweet clips you can watch when you have a moment. The hands-on practice sessions are challenging and fun. When I have a question, I can participate in an online group where students and instructors can pitch in, or I can email an instructor directly. Each day I receive an email from the instructor and a list of tasks. As I complete a task, the screen visually records my progress. Further, Skillcrush provides a lot of bonuses like online resources, coaching for job search, and general rah-rah enthusiasm and encouragement that makes you feel that you can do this! 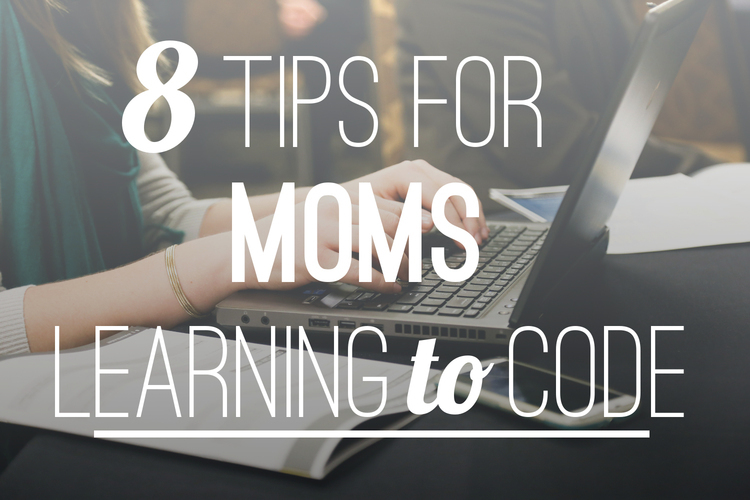 If you want to start walking and talking like a real, live coder, this is the place to start. I'm currently enrolled in the Web Development Blueprint, and can't say enough good things about this curriculum. The syllabus provides detailed info on what is expected daily for the coursework, and even with a full time job, I am able to complete my daily assignments. Skillcrush provide shelpful handouts to review as well as resources to research on your own time. Teachers are available for questions throughtout the program, and always accessible. I had prior knowledge of HTML & CSS coding, which has been helpful for me in this class; however I feel you could excel with this class with no prior knowledge. I have already applied what I have learned to projects in my current job, and feel much more confident in my coding abiities. Skillcrush reps have sent us mulitple ways to get jobs in the industry as well. I had been debating for about a year to sign up for a Skillcrush class, when I finally had, I regretted waiting so long. I thought while I was sitll in school I wouldn't have the time, but the class is so flexible it's not even an issue now that I'm working full time. Skillcrush instructors are FRIENDLY and helpful, and try to create the most supportive, judgement-free environment possible. As someone with a creative background, but no experience designing for the web, this course was amazing. In 3 months, I learned an incredible amount just taking the hour long classes every day (or when I could get to them, they don't expire). The teachers are friendly, knowledgable, and provide really constructive feedback. You also get valuable feedback and inspiration from other students via the Hang Out sessions and in the Google Groups sessions. I feel confident in applying my new skills in a new career, and speaking of new career, not only did the Skillcrush team teach me how to design for web (and a bit of print as well, which I already had background in, but is good if you don't), they provide you with resources on how to write cover letters, resumes and - drumroll please - where to find an actual job with links to actual job posting sites for Tech jobs. My only complaint is that the Google Hang Out sessions fill up incredibly fast and it was hard to snag a time that worked for me. I'm only removing one star on Overall Experience for that reason. I had been on the fence about starting a blueprint for quite some time and finally took the plunge. I could not be happier ad doing so. I am only on my third week but I feel that I will definitely get to where I need to be by the time I am done. I hope to continue taking other Blueprints like the Wordpress and Design ones and get a very clear understanding to better my current situation. I highly recommend the courese as it will guide you from absolute zero to actually understanding. I am currently taking Skillcrush's Front End Web Development Blueprint as a refresher course for a Front End class I took back in January at a popular brick and mortar coding bootcamp. I have to say, the way the information is presented by Skillcrush blows this other bootcamp out of the water. So much more organized and streamlined. Part of the reason I am taking the Blueprint is because I didn't feel confident enough after I left the bootcamp in my ability to start working as a freelancer. I felt that there were a lot of holes in my knowledge--for example, the bootcamp never discussed frameworks like Bootstrap. Not even a mention! Yet it took half a class to explain floats when skillcrush has managed to cover it in one short module. I realize coming into the Blueprint with previous knowledge has helped me pick it up easier, but I'm still impressed with Skillcrush's simple and playful learning program. Highly impressed with this course and Skillcrush's delivery. The lessons wereinformative but easy to follow, the exercises were practical and relevant, and the help chat forum was a life saver - the instructors responded promptly and effectively, and I was able to leverage other student's question and response threads to solve similar challenges I faced. I was also impressed with the breadth of resources that were provided in an organized manner - learning to code can be overwhelming with the sheer amount of information out there to pick up and learn, but Skillcrush introduced me to the most used tools and resources early and added more and more helpful resources throughout the course. Lastly, I loved that working through just three months of course material helped me put together a portfolio of real applications to demonstrate what I've learned. I also now feel very confident in my ability to venture onto personal projects with the ability to reference the work I've done and Skillcrush's curriculum. I highly recommend this course and Skillcrush in general to kickstart your coding knowledge in any of the dimensions they offer! I am 2 weeks into the Front End Developer Blueprint and the Visual Design Blueprint. I am taking them at the same time,and it's actually working out well, since the information that is covered in both relates to the other at about the same place. I have some prior HTML, CSS and design experience, although it's been about 8 years since I have done any coding. I had built a Wordpress theme using youtube videos & google about 8 years ago, and it was incredibly challenging. After that project, I still felt like I was missing some fundamentals and I was a bit burnt from the experience so I went back to my previous job, which was working as a clothing designer for a big company. I left that job a couple of years ago to start a freelance design business & I started noticing that for every one job in the clothing design field there are about 40 jobs in tech. I love working freelance & would like to maintain that lifestyle, so I decided it was time to add some additional skills to my freelance skill set, and Skillcrush is helping me get there. I looked into several differnt boot camps & free coding classes. There are a ton to choose from. I chose Skillcrush because I liked the fact that I could study from home on my own schedule, the price was reasonable ( lower than some of the other bootcamps), it was women focused, and it started at the beginning. I liked way the website was organized, and I figured that would be indicator of how the classes are organized. Now that I have started, the classes are easy to navigate & each day there is a digestable lesseon. No lessons on the weekends, so if you get behind, you can catch up then. Adda herself is the video instructor for the Web Developer and Randle instructs the visual design videos. All the video are clear & very well produced (so much better than the youtube videos that I watched from yester year). Both women are a joy to watch & learn from. I'm very impressed with their teaching skills. I like the was the classes start at the begining and walk you through an ordred way of learning all with the direct prsult of helping you build a website or app. The tools used and laguage seem up to date. Overall, good experience so far. I'm still near the beginning, but zero regrets. Everyday I look forward to learning something new with the idea of eventually appling it all to a new career path.